The holidays are well and truly here. That means it’s time for an early Christmas present in the form of December marketing ideas for restaurants to help see you through to the end of the calendar year. The best time to properly prepare for the holidays was in August or September. That’s the best window to create catering packages, gift card programs, and other holiday promotions. But if you are behind in your marketing, don’t sweat it. We have some last minute December marketing ideas that you can implement today. The Christmas season is a time for sweets, and this month’s list is desert-intensive, with brownies, pies, and lemon cupcakes all covered. There are some more general days as well with National Comfort Food and National Get on the Scale days. 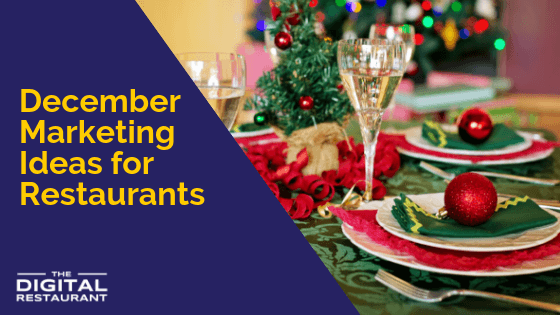 What can you do to take advantage of any of the below December marketing ideas for your restaurant? What Foods are Celebrated in December? It might be hard for you to celebrate national pear month, but with Christmas only a month away you shouldn’t have any problems serving up Eggnog to your customers. If you are looking for some specific December marketing ideas, try out these three below. Restaurants are the nation’s favorite place to purchase gift cards and a great way to get guaranteed spending and increase cashflow ahead of a traditionally quiet January. But just because you haven’t printed gift cards doesn’t mean that you can’t sell them as thoughtful gifts. Instagram provides restaurant owners with a fast and easy way to sell digital gift cards. Three steps are all it takes to get selling gift cards on Instagram and we cover those steps in detail in our dedicated article which you can access here. Do you advertise the fact that you take work Christmas party bookings? If you don’t it’s not too late! 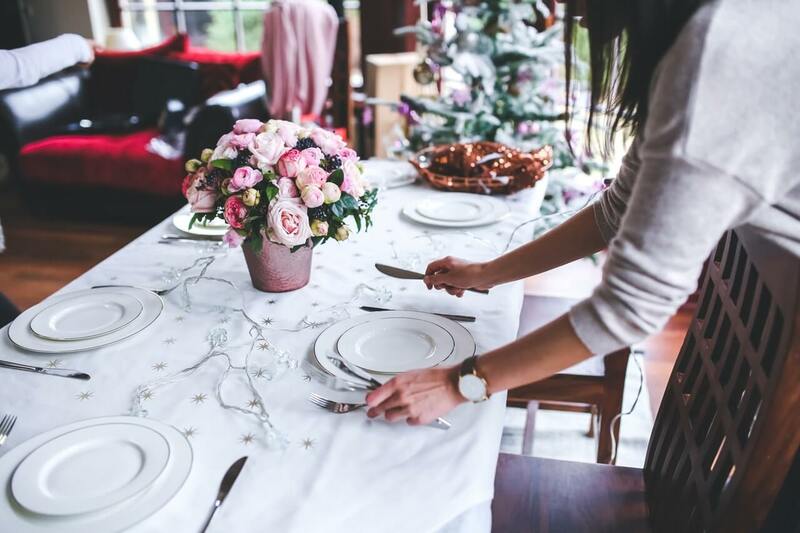 There will be plenty of offices still looking for a great place to host their Christmas and they’ll be willing to pay a lot for it — especially if you offer the option to hire out your entire restaurant. You don’t even have to serve a traditional menu, either. Plenty of people will be sick of turkey by the time the office Christmas meal comes around and dying to try a Mexican, Italian or Asian take on a festive meal. With large parties, you’ve got nothing to lose and everything to gain! There isn’t a restaurant in America that couldn’t introduce an Eggnog special into their menu for the month of December. 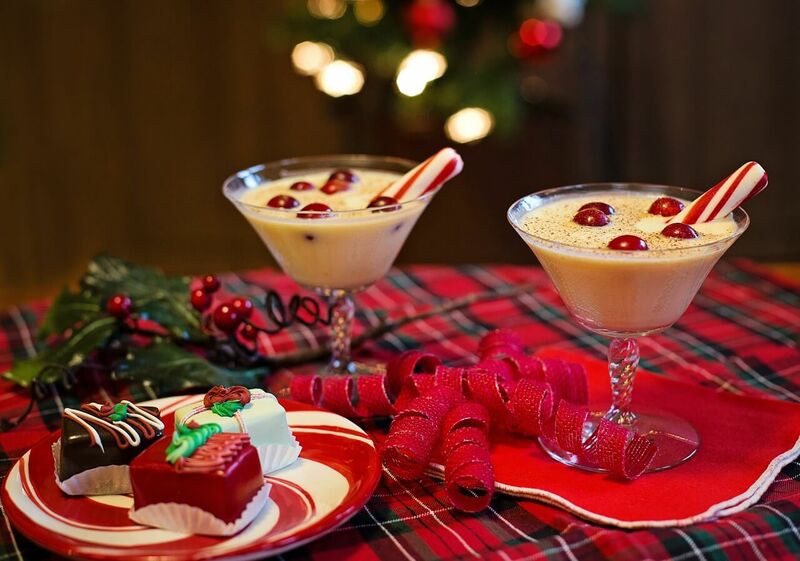 For some, it will be a case of serving straight-up Eggnog. Others may be able to put a culinary twist on the drink or perhaps serve it in a cocktail. Everyone feels obliged to drink a glass at this time of the year, and what better time than when you’re having a meal with loved ones? It’s a great opportunity for restaurants to cash in on this divisive drink. There’s no better time like the present. If you’re planning on making a New Year’s Resolution to improve your restaurant marketing, why not start today? Sign up to our restaurant marketing platform NGAZE — the leading marketing platform in the industry. Get in touch today to find out more.